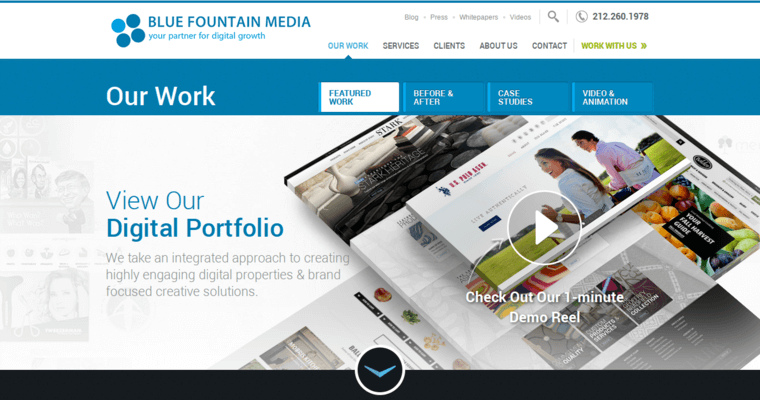 Blue Fountain Media is a web design company that excels at creating websites that boost leads, conversions and sales for their clients. 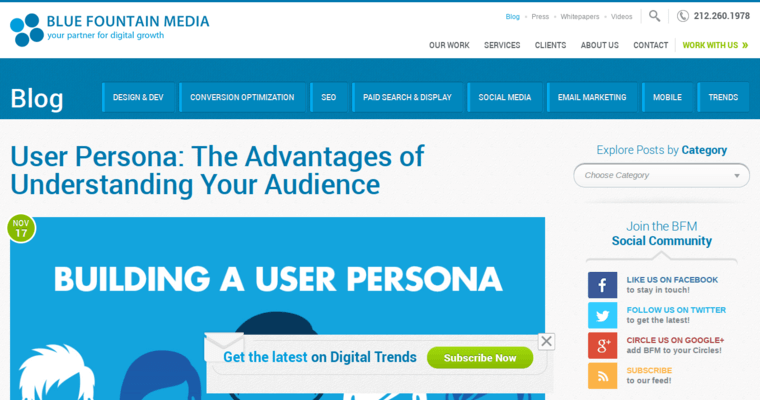 This award-winning company starts by discovering what the client is looking to achieve from their website, and then they set about creating an online digital experience that exceeds client expectations. Their designers create a website that looks professional, and their coders make certain it has all the technical aspects working properly, so it looks and performs beautifully on any internet device. They ensure it has an optimal information architecture, so visitors to the site can find anything they need quickly and easily to get their questions answered. After making sure the site attracts leads and converts them into customers, they work on building brand loyalty and generating repeat business. 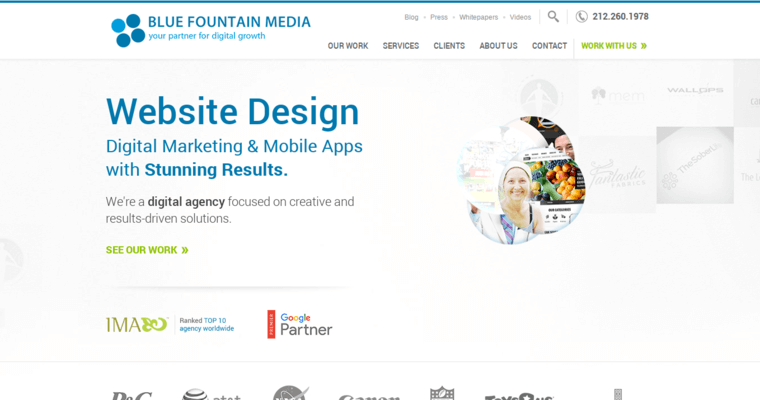 In addition to cutting-edge web design, Blue Fountain Media offers social media promotion, email marketing and paid search advertising services.